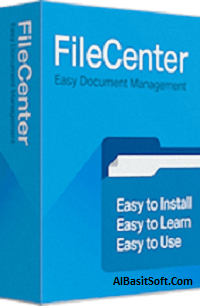 FileCenter Professional Plus 10.2.0.33 With Serial Key Free Download FileCenter Professional Plus Crack, the low-cost leader in document management, combines easy scanning and file organization with powerful PDF creation and editing. It also includes OCR, Search, and a brandable Client Portal. For online file access, it even integrates with popular cloud services like Dropbox, Google Drive, OneDrive, and more. Scan: Go from paper to searchable PDF in a single mouse click. Scanning important documents have never been easier … or faster. Organize: Manage your files in a way that makes sense: electronic file cabinets. Organize your scans, computer files, and e-mail together. PDF: PDF is the standard. Make them, manipulate them, and use them in FileCenter. Our built-in editor and wizards make it a snap. OCR: Make scans, faxes and other documents fully searchable. Or pull the text from a paper document into Word. Preview: When all you need is a quick glimpse, preview the file without opening it. As fast and easy as thumbing through documents. Search: Find files effortlessly. Search the keywords and notes in your PDFs or the entire body of your documents. Share: Share cabinets on the office network or use our integrated Client Portal to share files with your clients and friends safely and securely. Cloud: FileCenter integrates nicely with leading cloud services like Dropbox, Google Drive, OneDrive, and more. As such, you can always access your files online. 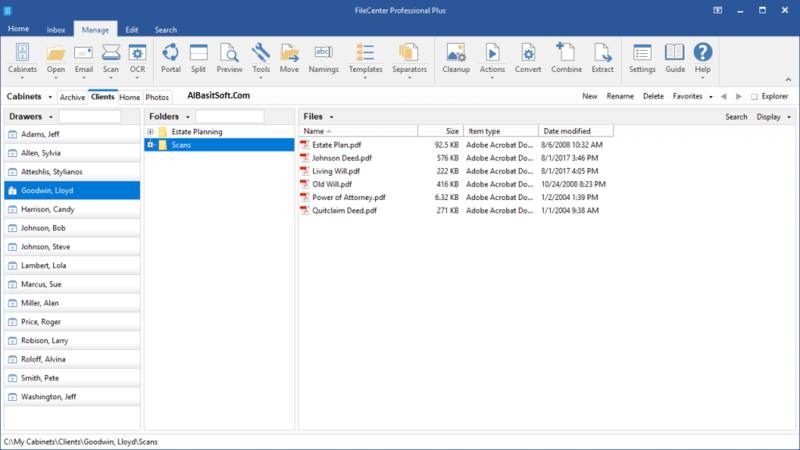 What’s New Lucion FileCenter Professional Plus 10.2.0.33 Crack? The FileCenter Portal has been moved to its own tab on the main interface. In the Portal, there’s now an option on the Accounts screen to let you switch accounts. The Adobe PDF preview option has been updated. Fixes an Adobe compatibility error some users were seeing. The Explorer button, which toggles FileCenter from a cabinet view to an explorer view, is now a drop-list which lets you quickly switch back and forth between Inbox, cabinet and explorer views. Fixed a minor issue with saving attachments from Outlook, where the *.msg option wasn’t available.